Jessica Biel, who stars and produces ‘The Sinner,’ started the day with a guest appearance on ‘The Late Show With Stephen Colbert,’ before the New York screening on Wednesday (August 15). ‘The Late Show With Stephen Colbert’: Boring Biel has long been resigned to the past, as her red carpet style is now full of colour and flare. 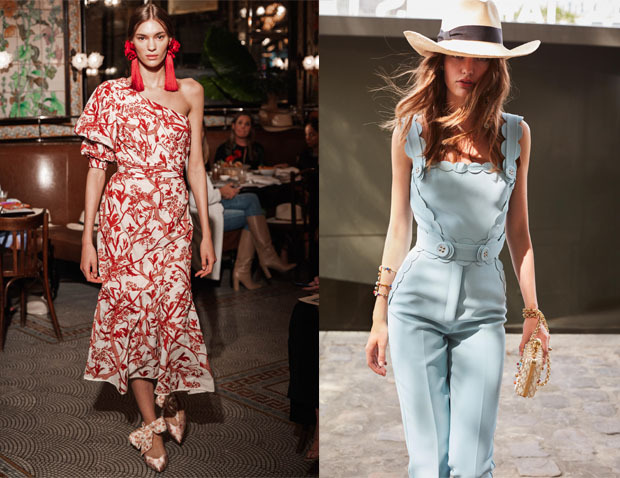 Speaking of flare, this Johanna Ortiz Resort 2019 design just oozing with charm. There can be a tendency for stars to keep things pretty safe in black for late night appearances, but this summery day dress had spirit of the lush exotic vacations to keep you glued to your TV sets. White pumps, a red clutch and jewels from Graziela Gems and Dana Rebecca Designs completed her look. ‘The Sinner’ New York Screening And Conversation: Elie Saab’s sartorial superpowers hail from his tailoring. I love how modern this Resort 2019 jumpsuit feels, with the pale blue-hue and scallop details adding a heavy dose of femininity.